Here with Shadow of the Tomb Raider, we see that all platforms are within a reasonable margin of one another. I think it has been said many times but bears repeating, the HEDT level platforms are not really made for a gaming only build. if you are not doing heavy work this is likely overkill and not necessary for a gamer. 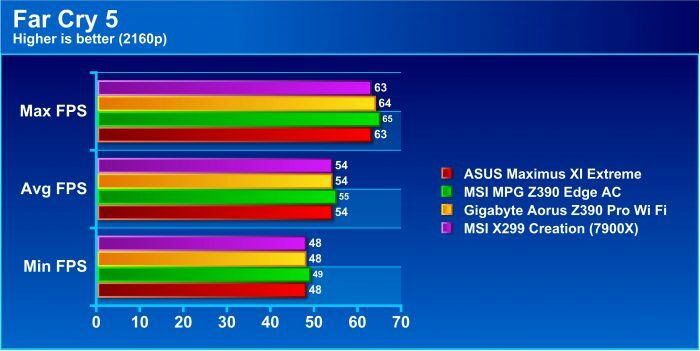 Far Cry 5 we see more preference to the higher frequency Z390 rigs than to the HEDT as its threads don’t help here. 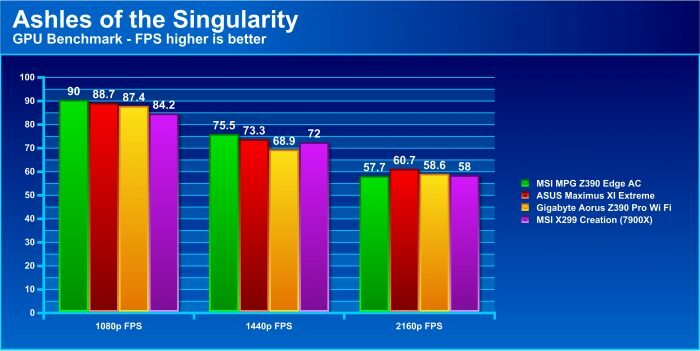 Once you get up to 4K everything evens out, but at lower resolutions, you simply get beaten by the faster 9900K. 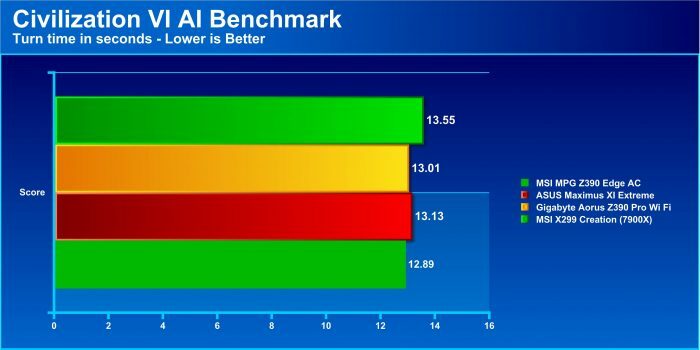 Here we see that the CPU benchmark shows to once again be very frequency heavy and the 7900X/X299 Creation by default falters here. 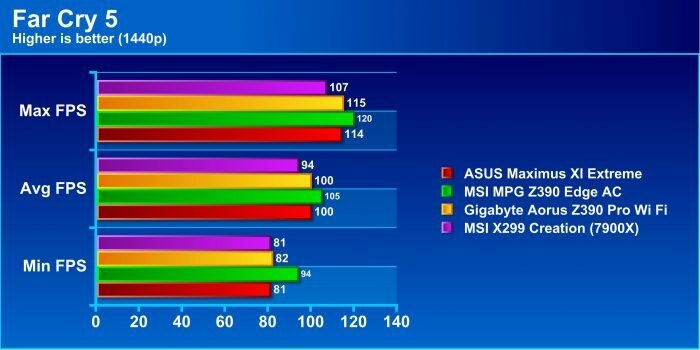 Overall the gameplay experience should be fine but if only gaming I would suggest something a bit more cost friendly like the 9900K model. 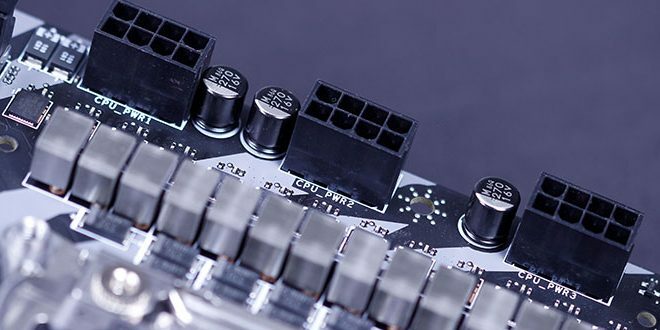 here we see the MSI MEG X299 Creation pulls a small lead due to its two extra cores. Ok, I think we’ve abused enough games and even though I tested more I think its time we abridge this. 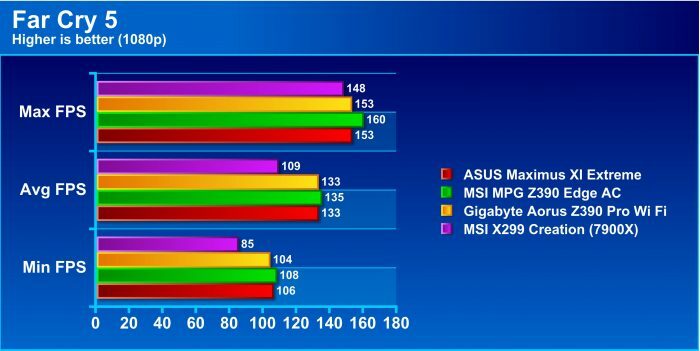 Let’s crack the whip and see how overclocking goes for the X299 Creation.